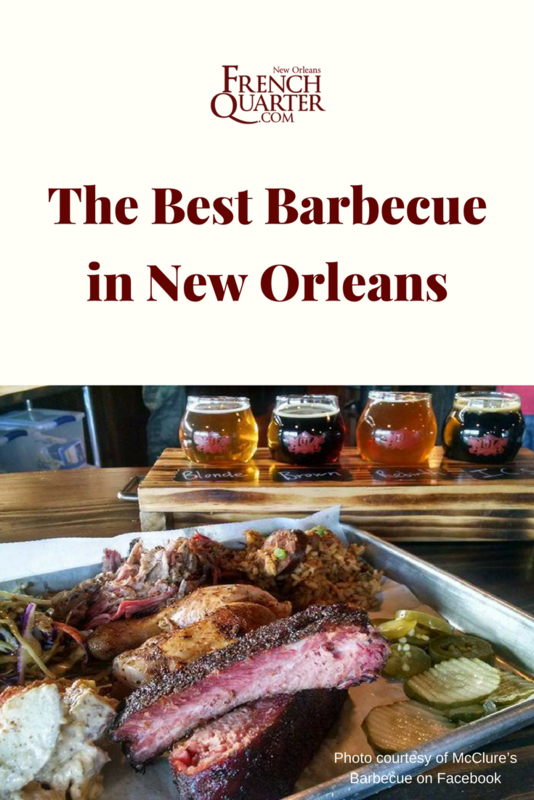 Barbecue is probably the most famous sub-genre of Southern cooking, and New Orleans is the best food city in the South (if not the country), but ironically, our city isn’t known as a traditional barbecue stronghold. Our cuisine has always skewed more towards seafood and rich, buttery dishes that sit at the intersection of French and West African cooking influences. But this situation has been changing rapidly in the years following Hurricane Katrina, as a plethora of barbecue spots have opened across the city. 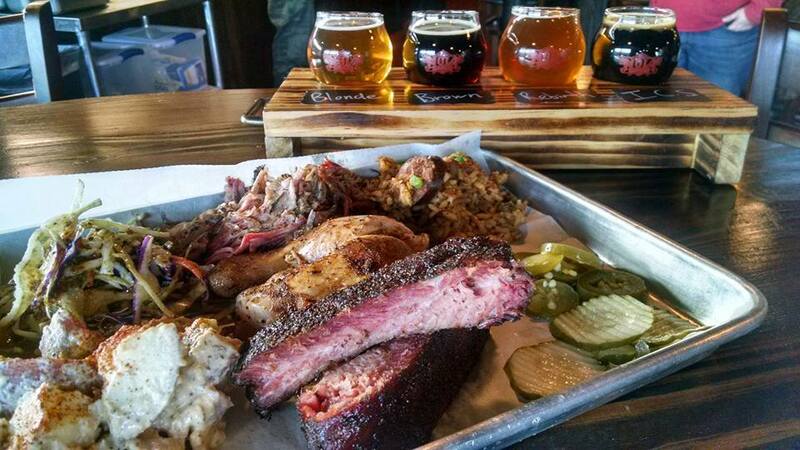 Here are some of our favorite places in town to score some smoked goodness. Central City BBQ is blowing up the smoked meat scene in the city from their CBD location near the Union Passenger Terminal. Guests rave about the huge regional beer menu, clean, contemporary interior, and of courses, the locally sourced meat, prepared by a pit team that includes stalwart veterans of the city’s’ culinary scene. One of the few spots in town to grab some burnt ends – save us a spot at the table. A beloved Bywater spot with a sly sense of humor (The Joint’s long time motto is “Always Smokin’”), this low-slung smokehouse gets packed during lunch times and weekends as the crowds pack in for groaning trays of ‘que. We’re big fans of the brisket, which has an impossibly rich ‘bark’ (the outer crust of the meat), and the sides, which includes a salad that would almost make us consider giving up meat, if it weren’t for the fact the meat here is so good. There’s a good bar on site that mixes some surprisingly delicious cocktails. The look of The Joint is reason enough to visit – the spot looks like a ramshackle folk art project dunked in lemon paint. Bring the kids. Located inside of the St Roch market, Brugger’s is the brainchild of Texas native Damian Brugger, who used to smoke his meat the Black Label Icehouse. This outpost of his barbecue dreams serves excellent sausages and small mountains of juicy brisket. Or try some of the pork shoulder, a smoked, juicy revelation that has our mouths watering as we type. The best thing about McClure’s is its location. Not that it has a great view of anything (“Come see scenic Tchoupitoulas and Seventh St. The shipping containers are gorgeous this time of year!”), but it’s located within NOLA Brewing, which means you get to supplement all of that delicious barbeque with a bunch of locally brewed, delicious suds. Life doesn’t get much better. Oh yeah: they’ve got a brisket cheesesteak on the menu. Brisket. Cheesesteak. For years, Blue Oak doled out its barbecue plates from a window in Chickie Wah Wah, one of the great music clubs of New Orleans. As the spot grew in popularity, they carved out a brick and mortar outpost for themselves on N Carrollton, near the edge of City Park and Bayou St John. There’s a lot of good things about Blue Oak, but we especially contend that they serve some of the best chicken wings and smoked chicken in the city. They’re quite family friendly as well. Family friendly Frey’s delivers big plates of tasty, smoky, messy barbecue, but it does so in a clean, polished setting within the semi-suburban Mid-City Marketplace. That means this is a convenient spot if you need easy parking and space for the little ones to run around, although the atmosphere isn’t as charmingly chaotic as you might find in other places on this list. Platters include pork belly, sausage, and a cave man worthy beef rib; order a side of pimento mac n’ cheese and go to town. Walker’s is most famous for its cochon de lait po’boy, which is a staple of Jazz Fest menus. This is basically slow cooked pork, soft enough to tear apart with your hands and delicious enough to enjoy any time of year, festival season or no. Everything else on the menu is wonderful too. Walker’s is located out in New Orleans East, so it’s a bit of a hike to get out here, but to be fair, we’d trek much further than the East for some cochon de lait. This Mid-City spot is notable for its rubs, its ribs, and its location – within Twelve Mile Limit, one of the best neighborhood bars in a city that has some very fine neighborhood bars. Enjoy an Old-Fashioned, play a little pool, then settle down for a barbecue plate that ought to include the loaded tots – swimming in cheese, meat and all sorts of other goodies.